180 Gram Audiophile Black Double Vinyl! 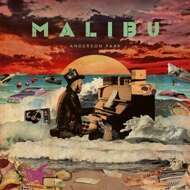 The 2nd album by Anderson .Paak finally on vinyl! Features by Schoolboy Q, Talib Kweli, The Game, BJ The Chicago Kid and more!